From the World Series to Wimbledon, every sport has a prestigious event. You know, the event that determines the best of the best. In the sport of racing, it’s no different. Drivers from around the world compete in these events in order to win their career defining title. From NASCAR to Formula One, below are six of the most famous car races in the world. 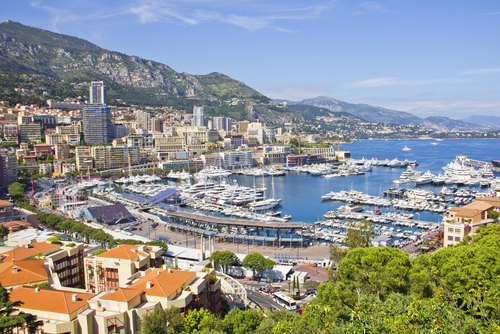 The Formula One Monaco Grand Prix is held annually on the Circuit de Monaco since 1929. The race weaves around the small city streets of Monaco, which includes tight corners, elevation changes and tunnels. The international racing series, Formula One consists of drivers that must have cars that fit to yearly changing rules and is the most expensive form of racing in the world. Additionally, the Monaco Grand Prix is one of the most challenging courses on tour and happens during the last weekend of May. IndyCar is a form of American open wheel racing and according to Business Insider, is “arguably the fastest racing series in America.” Occurring during Memorial Day weekend, the inaugural race was held in 1911. This race consists of 200 laps counterclockwise around the Indianapolis Motor Speedway. Winners traditionally kiss the brick finish line, as the venus was one paved in all bricks, and also is presented with a bottle of milk. Often called the “Grand Prix of Endurance and Efficiency” the 24 Hours of Le Mans was first held in 1923. This, along with the Indy 500 and Monaco Grand Prix makes up the Triple Crown of Motorsport. The race is run on the Circuit de le Sarthe, which is a mix of specialized racing roads and closed public roads. The race is held in June and begins in the mid-afternoon and finishes the following day in the same hour the race started. The race is comprised of over 3,110 miles. Three drives are allowed to drive a competing vehicle, giving the drivers time to eat and rest. In order to keep the drivers safe, and due to its unique 24 hour competition, the rules and regulations have changed over the years. Unlike other sports, the Daytona 500 is NASCAR’s prestigious event and is the first race of the year in the NASCAR Sprint Cup Series.The inaugural Daytona 500 was held in 1959. Located in the birthplace of NASCAR—Daytona Beach, Florida—the 500 mile long race is held annually in late February. The Daytona 500 also carries the largest purse and highest television viewership. According to thepostgame.com, “The Daytona 500 is one of four ‘restrictor plate’ races on NASCAR’s calendar, given both safety and competitive concerns for the long track and its famous 31-degree banking in its four corners.” Richard Petty has the most wins, with 7 titles at Daytona. This event is held annually in early October on the Mount Panorama Circuit in Bathurst, New South Wales, Australia. As the pinnacle of motorsport in Australia, this race began in 1960, moving to Mount Panorama in 1963. The race track is made up of public roads, but its elevation is a challenge for the drivers along with the sharp turns and tight roads. The V8 supercar race is now renamed Supercars Championship and is always a highly contested race. Known as the Grand Prix of rallying, Rally Finland is a rally competition the is held in Central Finland and is the fastest event in the World Rally Championship. It was first held in 1951, but by the late 1950s had adapted to a rally format. Now it occurs during the July and August months, with modified road cars as opposed to off-road vehicles. The race is driven on smooth and wide gravel roads with big jumps and blind crests. This rally also attracts thousands of spectators.